Successfully Added MXR Android TV Box - Android OS, 4K Resolutions, 4 USB 2.0 Ports, AV, SPDIF, SD Card to your Shopping Cart. Great connectivity with 4 USB, SPDIF, AV, WIFI and Bluetooth. Powerful performance with 1.5GHz CPU and plenty of storage options. 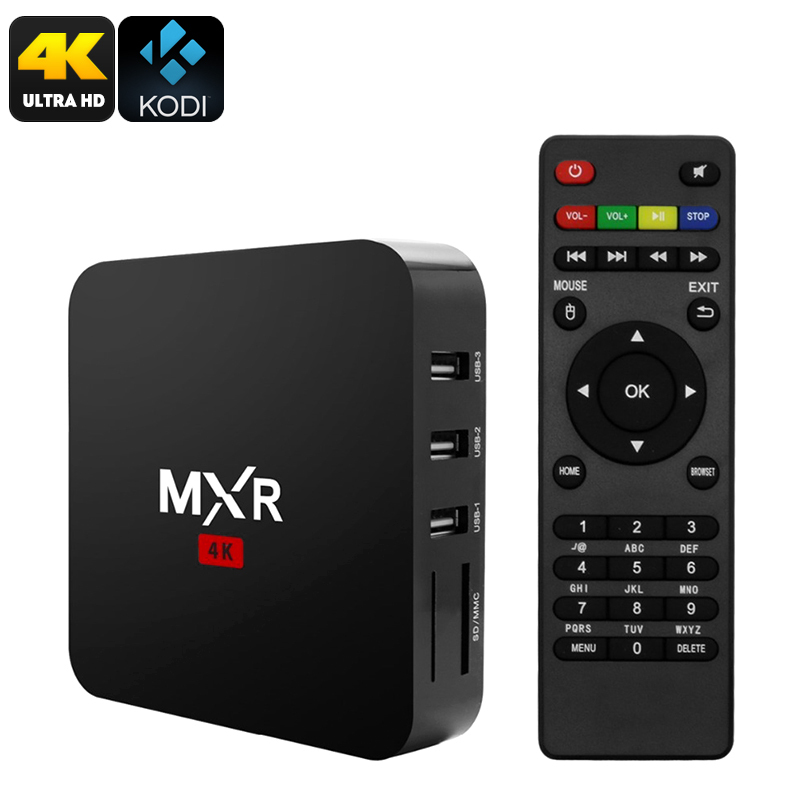 Get the best your TV has to offer with the MXR 4K Android TV box. Live sports, the latest films and soap operas all at your fingertips with this marvelous TV box. Powered by the Android OS you'll with Google play store you'll have access to Netflix, Hula, YouTube and other streaming and entertainment apps. The MXR TV box comes with 12 months warranty, brought to you by the leader in electronic devices as well as wholesale android smart TV boxes..